31 Dec 2015–The Largest New Year’s Eve Beach Party in the World! The harbor was filling up fast on New Yers Eve. 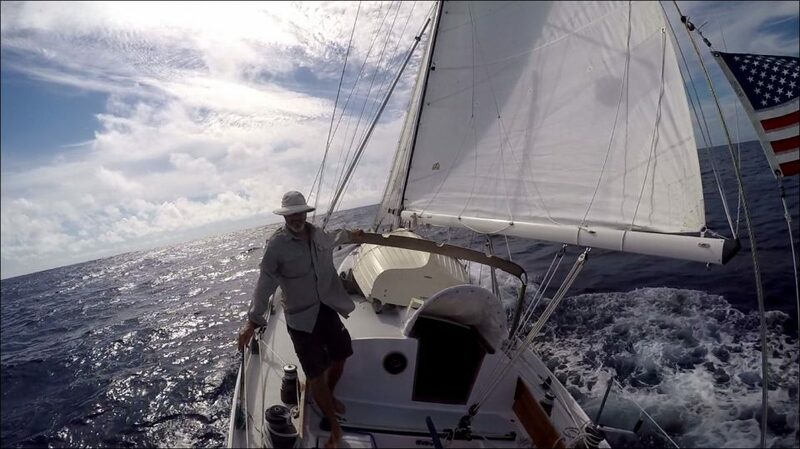 On Christmas Day we made landfall at Jost van Dyke, BVI after 18 days at sea. 26 Dec 2015, Anchored, Great Harbor, Jost van Dyke, BVI–The Far Reach, with my sister and me on board, took her departure from Cape Lookout, NC on the morning of 8 Dec. We made landfall at Jost van Dyke, BVI after 18 days. The total distance sailed was 1,643 nautical miles. The Far Reach was magnificent in every way. She was solid, quiet, and did not leak a drop of water even though it was a wet upwind ride most of the way.